If you are working on your project with a team you will be very interested in the following feature. This is the way to be informed about changes in your database. Once a user updates any entry you will get an email or SMS with the previous and current value of the fields. Here is how you can enable it in the form widget. Make sure to update email or SMS recipients' list. You can enter as many emails (SMS) as you need, separated by comma. 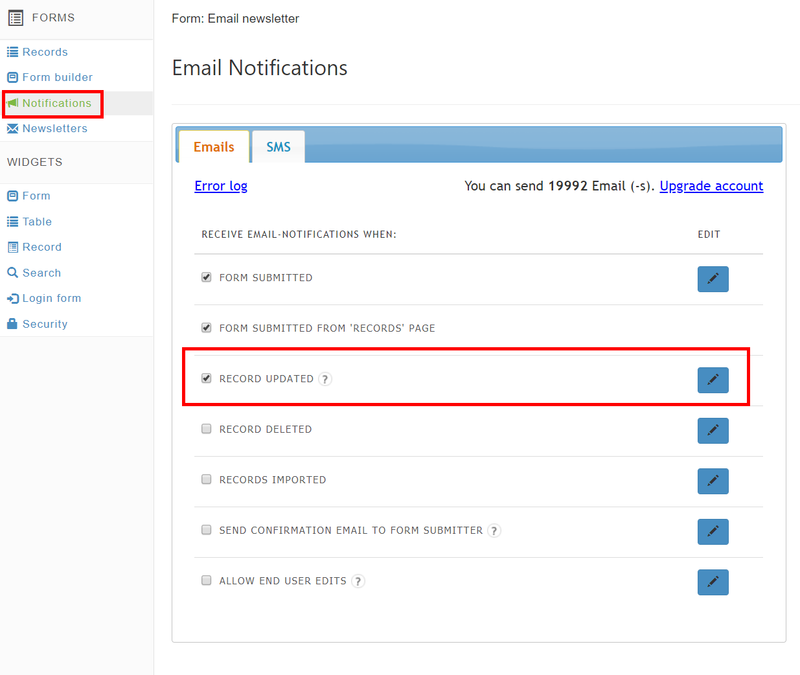 And here is how updated records email notifications look like in action.